Following the Lisbon Treaty, the powers of the European Parliament in external relations have gradually expanded and it is increasingly influencing the foreign policy of the European Union. This book analyses the role of the European Parliament as an international actor and presents a new debate about its role outside the EU territory. 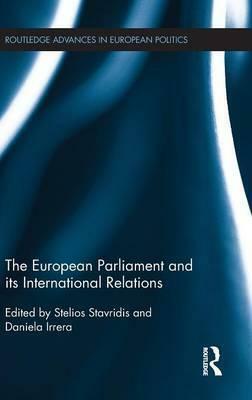 It explores different policy areas including human rights, international aid, trade, crisis management and the environment to provide a systematic analysis of the modern global role of the European Parliament. The book also considers the European Parliament's regional interactions with Africa, Latin America, the United States, Asia and the Middle East. With a common analytical framework and research covering the lifespan of the European Parliament from its first direct elections in 1979 to the present day, this comprehensive volume presents an unparalleled analysis of one of the most important institutions in the European Union. This book will be of interest to students and scholars of European Union politics and institutions, European policy, government, international relations and European history. Stelios Stavridis is ARAID Senior Research Fellow at the Research Unit on International and European Studies, Universidad de Zaragoza, Spain. Daniela Irrera is Assistant Professor of Political Science and International Relations at the University of Catania, Italy.